SoundSeeder v1.2.0 - soundseeder.com | Play music simultaneously on multiple devices. Today we released SoundSeeder v1.2.0. 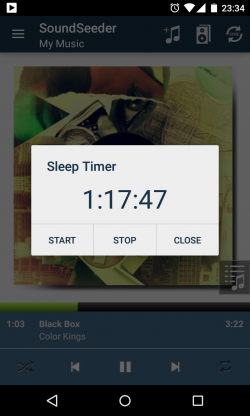 It brings a new Sleep Timer to define a shutdown time for the SoundSeeder Music Player. The update also includes a bunch of bugfixes and minor improvements. As always, the new version is available on Amazon, Google Play and XDA.